That download speed should be very fast for everything and although the upload isn't great, it should get the job done. 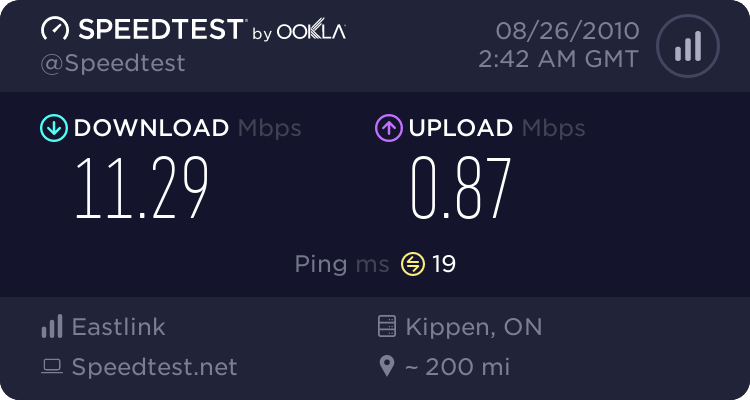 The problem is, the speeds I'm seeing with the Xbox aren't very good. It seems to take longer than it should to download videos, for example, and when playing a multiplayer game, people's voices are garbled a lot of the time. FYI, the Xbox is wired directly to the router. The connection test comes back fine and the NAT is 'open'. First thing I'd do Jeremy is update the firmware on the router. I don't know what revision you're on, but a lot of times its an older revision. What kind of security did you set up on it as well? Trying some firmware stuff. Thought I had checked all that but maybe not. I had checked the firmware and thought I was running the latest version -- apparently not. It's updated now and the wireless seems to be faster. Let's hope the same is true for the Xbox. Thanks for the help, Chris! This morning I was getting disconnected from Xbox Live every minute or two. None of my damn demos have downloaded because of this. That, and Pieter has been watching Up on Netflix for about 36 hours or so, iirc.